NASA is usually associated with some of humanity’s most stunning and dramatic scientific accomplishments. 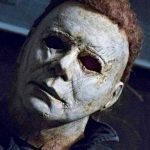 Though the immaculate, towering white buildings of the Kennedy Space Center in Cape Canaveral Florida are the last place you’d expect to encounter the paranormal, there are traces of a tragic history which rests alongside NASA’s historic achievements. 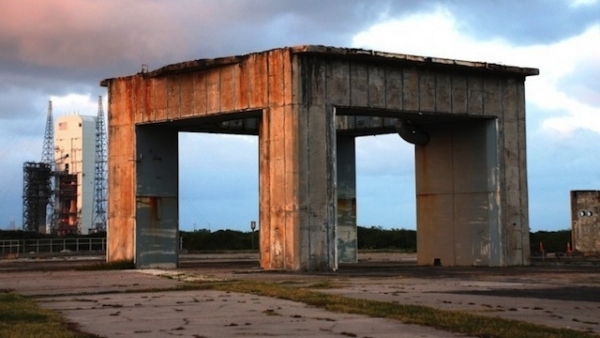 Not far from the clean, polished, state of the art infrastructure lays a dark piece of NASA’s history: the abandoned remains of Launch Complex 34. In a place full of history, Launch Complex 34 stands as one of the most striking sites open to visitors. The weathered complex still stands as it did when it was shut down in 1968. Though worn and rusted, the towering four-legged concrete platform remains an impressive sight. A decades-old spray painted notice can still be read today – “Abandon in Place”. The complex exists today as a memorial to one of the most tragic events in NASA’s history – the deaths of Command Pilot Virgil I. “Gus” Grissom, Senior Pilot Edward H. White II and Pilot Roger B. Chaffee – but at the time it was built it was NASA’s pride and joy. 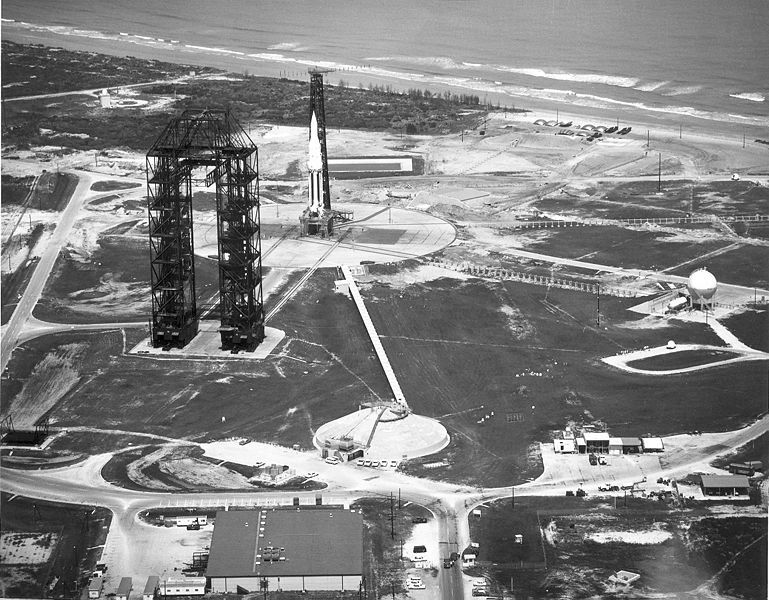 LC-34 was built at the height of the Space Race. In 1960 when work began on the launch complex American and the USSR were racing to be the first to launch a person into space. The USSR, of course, achieved this in April of 1961, when Yuri Gagarin piloted the Vostok spacecraft into orbit. Just two months later the construction LC-34 was completed. The complex was to be a hub of the escalation of the space race, as President Kennedy announced America’s new goal of a lunar landing. From 161 to 1967 LC-34 was the designated launch pad for the Saturn series – unmanned rockets designed to test the limits of what was needed for a lunar flight. After years of trial, error, and slow but sure progress the LC-34 was scheduled to host its most significant launch to date: the first manned mission of the Apollo program, the Apollo one. The launch was set for February 21st of 1967 but for the three pilots of the mission that day would never come. 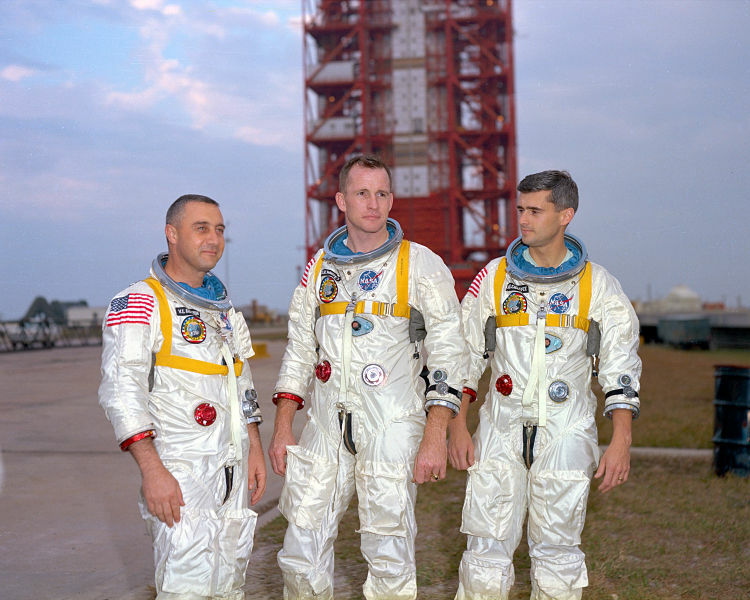 Grissom, White, and Chaffee were three of the most decorated and qualified pilots in the American Space Program. The charismatic Gus Grissom was a lifelong Boy Scout, whose amiable personality had endeared him to millions when he became the second American to fly in space. White had become the first American to perform a spacewalk, and is quoted as saying that having to return to his shuttle was the saddest moment of his life. Chaffee was the youngest of the three and newer to the space program. The Apollo mission would have been his first assignment. The crew was eager to take their place in history, even taking it upon themselves to put forth a design for the mission patch: a command module flying over the Florida coast, with the moon on the horizon as its distant goal. On January 27th, 1967, the three men were scheduled to participate in a launch rehearsal at LC-34. It was meant to test the functionality of the spacecraft’s internal power systems. With the rocket and the launch vehicle emptied of fuel, the test was considered to be routine and non-hazardous. After several hours of testing systems the crew was running through their mission checklist again while waiting for some technical issues to be resolved. It was then that a power surge occurred, causing a fire to erupt in the oxygen-rich cabin. The flames spread quickly and the internal pressure of the hatch prevented the astronauts from opening it to escape. Ground crews scrambled to free the trapped men but were hampered by ill-prepared equipment. The command center crew was left to listen in horror to the final, pained transmissions of the three men trapped inside. After the tragedy the complex was outfitted with additional safety equipment. Fire extinguishing systems and slide wires were installed with the determination that such a horrific incident would not reoccur. The complex had one final redeeming moment, when it served as the launching grounds for the first manned Apollo mission on October 11th, 1968. Perhaps unable to escape the weight of what had happened there, the complex was decommissioned not long after. The sudden and violent nature of the three deaths that occurred there quickly lent LC-34 an eerie reputation. Visitors and former employees have noted being overwhelmed with feelings of sadness and fear. Some even report hearing loud screams coming from the ruins of the launch pad. 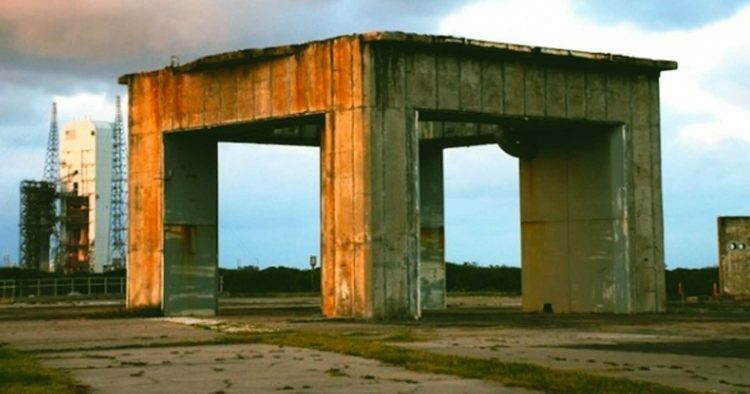 NASA has never commented on these reports, but the looming presence of the decaying launch pad undoubtedly serves as a haunting reminder of a painful past.